Studios To Movie Fans: Take Our Clips, Please Studios and content owners are worried about the appearance of unauthorized clips on YouTube, but one startup is trying to help make it possible to share clips legally. Robert Duvall and Al Pacino in a scene from The Godfather Part II. Maybe you needed a good cry, but you were at work and didn't have easy access to your DVD of "The Notebook." So, you searched for that heart wrenching break-up scene on YouTube and let the tears flow freely. Could be, nostalgic for times past when "real" men wore suits and drank bourbon, you were itching to watch Humphrey Bogart tell Ingrid Bergman, "Here's lookin' at you kid." Or, it's possible you just wanted to have a good laugh at the expense of someone getting hit in the unmentionables. Whatever your mood, you've probably watched clips from your favorite movies or TV shows on YouTube. And, most likely, the clips weren't supposed to be there. Five years ago, content owners and media companies, like Viacom, were taking YouTube to court for copyright infringement. They claimed YouTube's success was based on people uploading clips of TV shows and movies without permission. Today, "old media" can't deny the power of YouTube's gargantuan audience (the site claims 4 billion video views a day) and is scrambling to find ways to work with rather than against it. Vin Di Bona is the affable TV producer with a shock of white hair who created America's Funniest Home Videos in the late 1980s. His contentious relationship with YouTube began 16 years later: "Here's what happened," he explains. "I turned on the television, and CBS evening news said, 'There's something new. It's called YouTube and it's a way to trade video and collect things and share it and we're going to show you what it does.' And they showed six clips, and damned if three of them weren't mine." Di Bona called his lawyer, and the cease-and-desist chase was on. But it was his responsibility to search the site for pirated material and have it taken down. "It was like playing Whack-A-Mole," says Di Bona, "You know, whack the mole and six more would pop up, and those were my clips." So Di Bona chose the 'if you can't beat 'em, join 'em' strategy and partnered with YouTube. His channels – CuteWinFail and Petsami — legally repackage those funny home videos we all know and love. "We began to embrace it, and it has become very successful," Di Bona says. Now an ad plays before the videos start and Di Bona's company, Fishbowl Worldwide Media, shares the revenue with YouTube. L.A.-based entrepreneurs Rich Raddon and Zach James knew that movie studios were having the same problem with piracy as Vin Di Bona. So Zach James thought, "Why don't we go on YouTube and help figure this out with the studios?" And, voila, their venture-funded startup MOVIECLIPS was born. "Clips can be a powerful driver to watching the feature film," says Raddon, re-enacting the pitch to movie studio executives. "And so when we walked in, we said, 'Hey, do these licensing deals with us, you know we'll treat the content correctly and let's see if we can't throw people, after they watch the clip, to buy or rent the movie.'" MOVIECLIPS is already working with six major studios and a handful of independents to help them get the most from YouTube, and it has a staff of more than 50 film nerds to help make that happen. "I studied critical film studies, actually," says Julianna Strickland, a content curator for the startup, "so I love watching movies and writing about them. That's what I did all four years of college." The not-so-fun part of her job involves trolling YouTube for illegal uploads. But, if a user puts up their favorite clip from a movie and it meets certain criteria (it's not too long, it's good quality) then rather than force the user to take the clip down, Strickland claims it on behalf of the studio that owns it. Oh, and the fun part: she gets to watch movies, pick the most memorable moments, and upload those clips to YouTube. Today, it's L.A. Story. "We always pick a clip that has a beginning, middle and an end," says Strickland, pointing out the various fields she has to fill out in the content management system before she uploads a clip to YouTube. "I put everyone that's in the scene: so Steve Martin, Richard Grant, Victoria Tennant, Sarah Jessica Parker, I put some of the memorable dialogue — 'SanDeE your breasts feel weird, oh, that's because they're real' — then you put discussion topics, character types, settings, eras, what they're doing." It consists of hours of tedious work to ensure this licensed content will show up first when you go searching for your favorite movie clip on YouTube. Not an easy task when 60 hours of video are uploaded to YouTube every minute. But Thomas Hughes, a senior VP with Lionsgate (the studio behind The Hunger Games), says it's working. "We don't have the time or resources to do it. They do it for us, minding the Ps and Qs and make it available for the world to see," Hughes says. "We've seen our claimed views double and we fully expected that." The more views you claim, the easier it is to prove to advertisers that you've got the eyeballs they want to reach. Even Viacom, the media goliath suing YouTube for copyright infringement, is in on the game. Viacom's Paramount Pictures has a deal with MOVIECLIPS. 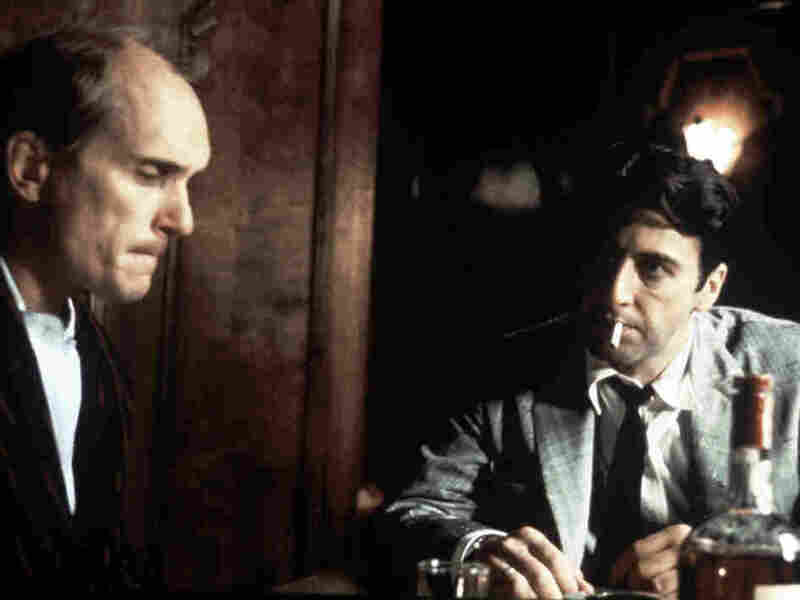 So the next time you watch Michael Corleone say, "it's strictly business," in that "Godfather" clip you just clicked on, you won't have to feel guilty.